When the ‘Judicial Efficiency’ Project started in Serbia there were some 1,4 million cases that have been pending for more than 2 years. The new law offered an opportunity to close a significant number of these cases, but each of them also had to be identified and further processed. “When we spoke with the court staff at the beginning, they estimated it would take approximately ten years to solve this problem”, said Brian Le Duc, the project Team Leader. Yet the team defied this estimation, taking just 18 months to reduce the number of old enforcement cases from 1,4 million to 655,000 in 30 pilot courts across the country. With the European Union support, 60 staff, who were temporarily engaged, worked on the technical and administrative preparation of the cases. 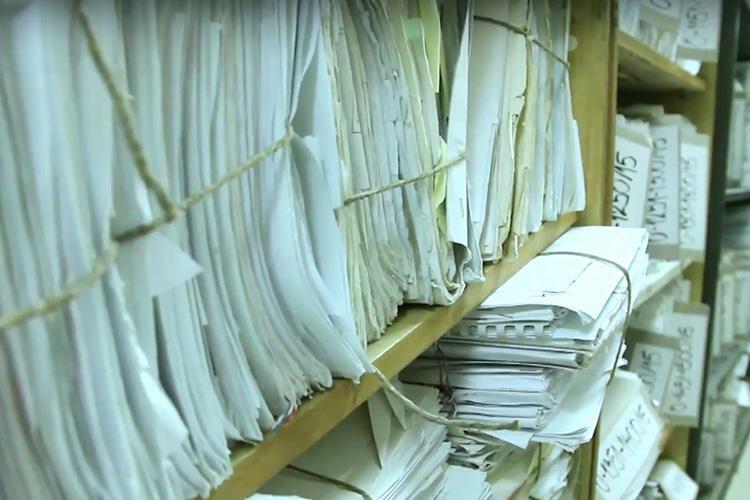 They located each case, prepared the case file, included evidences submitted by the parties, and compared data from case files with the electronic database. They completely prepared the cases for further processing by the courts. In addition, over 130,000 inaccurate and incomplete items of data have been corrected in 20 courts, and more than 1900 judges, judicial assistants and court staff were trained during the project. Apart from reducing the backlog, the project aimed at harmonising the case law and improving the overall performance of courts and public prosecutors offices, including in human resources management. It has also delivered improvements in areas of alternative dispute resolution and managed to connect more than 10 judicial and other institutions to start exchanging data electronically. The project tackled an important aspect of the justice reform, namely improving the efficiency of the judicial system. “We achieved a double objective: to make the system efficient and give the possibility to a very large number of citizens in Serbia to see their cases solved”, said Ambassador Sem Fabrizi, Head of EU Delegation in Serbia. Since 2006, the EU allocated EUR 93 million for the promotion of the rule of law in Serbia. Reform in this sector has been recognised as a priority which will allow other reform processes to take place more smoothly. Substantial support to this sector is in line with the EU policy dialogue with Serbia, which under the new approach opens the chapters 23 and 24 first in the accession negotiations. With more than EUR 3 billion in non-refundable aid over the past 15 years, the European Union is the biggest donor and the country’s number one partner in supporting development and ongoing reforms that bring the country closer to the EU and contribute to the well-being of citizens in many areas.